May 25 is a date forever etched in Liverpool's history for the miracle of Istanbul, but it is also a day on which the European Cup was secured for the very first time. On a balmy night in Rome in 1977, captain Emlyn Hughes proudly held aloft the gleaming silver trophy – the greatest prize in club football. It was the culmination of years of endeavour and the start of an unprecedented period of dominance by an English club in Europe. A further four European Cups have followed but the first triumph will always remain the most precious. A mass exodus of Reds fans converged on the Italian capital to cheer on Bob Paisley's charges. It was the biggest ever migration of football fans from these shores and the sea of red and white chequered flags that greeted the players gave them an almighty lift ahead of the biggest game in the club's history at that time. The trek from Liverpool to Rome has gone down in folklore with many incredible stories about supporters travelling all the way via a British Rail special train. The buffet bar might have ran dry but that didn't dampen the spirits of the travelling Kop. Among the mass of flags, the most eye-catching was without doubt the one in tribute to the European heroics of popular full-back Joey Jones. With reference to the games against Saint-Etienne, Zurich and now the final against Moenchengladbach, it read 'Joey ate the Frogs' Legs, Made the Swiss roll... Now he’s Munching-Gladbach'. Measuring 24 foot by eight foot and assembled by Kopites Phil Downey and Jimmy Cummings, the banner had grown in tandem as the Reds progressed in Europe that season. Terry McDermott put Liverpool into the lead with a fine strike, only to see it cancelled out by an unstoppable rocket from Allan Simonsen. But Paisley's boys went back in front courtesy of the unlikeliest of goalscorers. Steve Heighway's corner was met by the head of Tommy Smith as the Scouser sent the ball flying into the net. With eight minutes to go, the contest was sealed when a mazy run from Kevin Keegan saw him sent tumbling to the ground by Berti Vogts, resulting in the inevitable penalty. Showing nerves of steel, Phil Neal stepped up to ensure the European Cup was heading to Merseyside. Reflecting on a magical night, McDermott said: "Rome will never fade from my memory. I'll always remember it until the day I die, walking out into the stadium and seeing the red and white chequered flags, I've never seen anything like it and I've never seen anything again since. "It was just an amazing atmosphere and an incredible feeling to see those fans. 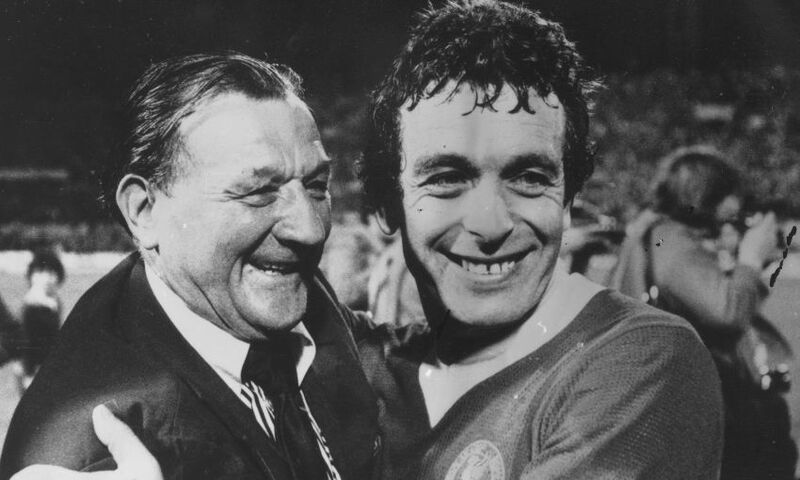 There must have been at least 30,000 Scousers there and it was just phenomenal."